Western Sydney University has decided to open a $ 10 million scholarship program for international students in 2018. This is a new scholarship program in addition to its other active scholarship programs. School leaders pledge that they will provide the best services for international students so that they can train top leaders, excellent managers and the best global citizens. In addition, if you are interested in learning more about scholarship programs, please refer to our website. Western Sydney University has been operating since 1989. With 10 campuses and more than 44,000 students, the school is considered one of the largest universities in Australia, a modern university that constantly innovates. These courses are suitable for the development of the world, with a modern approach. The facilities include: Banktown, Campbelltown, Hawkesbury, Lithgow, Nirimba, Parramatta, Parramatta, Penrith, and 2 Sydney facilities are all equipped with modern facilities. Penrith - The school's headquarters are located 30 minutes by car or train from Sydney city center. 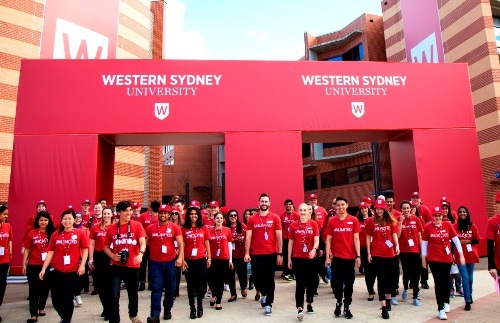 Situated in the heart of one of Australia's fastest growing economic regions, Western Sydney University offers unlimited success for talented, motivated and aspirational students. The leading position of Western Sydney University is confirmed by many prestigious rankings in the world. Times Higher Education ranks Western Sydney University among the top 100 youngest universities in the world. The University is ranked in the top 400 prestigious academic universities by the Shanghai World University Rankings (ARWU) in 2016. According to QS World University, the university has five-star standard. 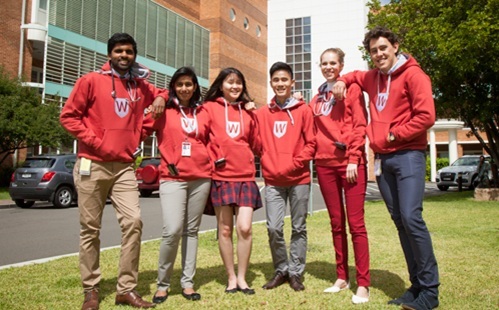 Western Sydney University offers a full range of academic programs from English language programs, pre-university programs, Diploma programs to colleges, bachelors, masters and doctorates. The university has strong training in design, communication, nursing, arts, business, law. There are also other disciplines for students to choose from, such as science, engineering, translation, social science, psychology, tourism, urban planning, criminal psychology. Our student support services are always very efficient. Students from all over the world say they are comfortable at home because schools offer so many gadgets that they reach their learning goals and live comfortably. The International Student Welfare Officer will support new arrivals, from airport transfers, school safety, new environment and friends. Any unexpected academic, financial or health problems are supported promptly. If you want to find a suitable job do not hesitate to ask them, they will have ways to help you. The school also has housing support services. In all facilities there is a boarding school. But if you do not want to stay in the dorm, you can register for the school's housing service. The school offers a range of services ranging from urban to rural, from individual to collective housing, all with reasonable fees and quality assurance. During the course of study, students are offered vocational courses and interact with employers. These programs help students orient their careers better, capture the needs of the labor market, and focus on the skills they need to find a good job after graduation. Western Sydney University is a modern university, offering a comprehensive range of courses designed to equip students with a global understanding of how to be a global citizen. Western Sydney constantly innovates teaching and learning methods to create the best learning environment for students. Australia is only 8 hours away from Vietnam. Vietnamese students can choose Western Sydney University as a destination for study abroad because of many attractive conditions from this school. 100% scholarship from ICMS Australia is available to students from the United States, Canada, Australia and other countries.